I did once ask “who misses carrot cake when going low carb”? Well you clearly don’t need to anymore because my low carb carrot cake recipe is versatile and super easy. It can be baked as a one or two layer cake, muffins, cupcakes or as a slice. 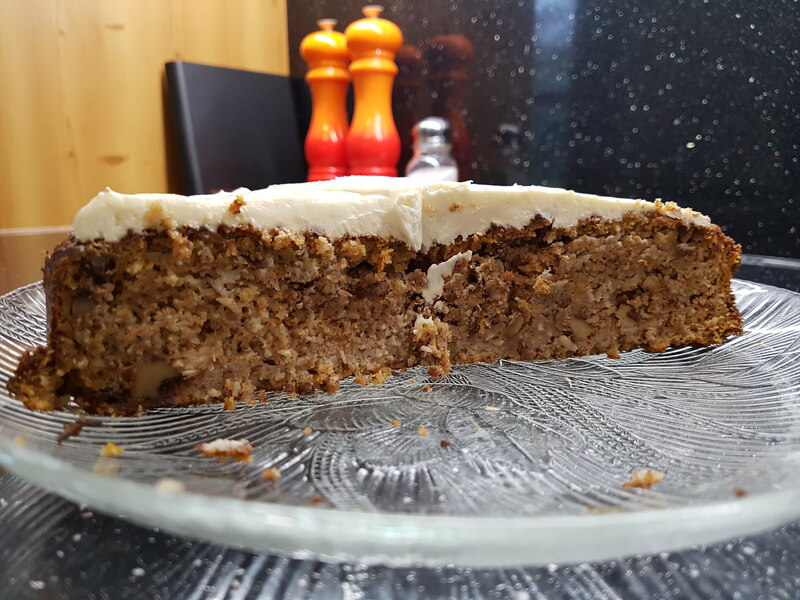 Further update – I managed to make my low carb carrot cake using ground sunflower seeds when I ran out of almond meal/flour. The cake was superb. This may be a good option if you would like to make the cake nut free (also omit the walnuts which are optional anyway). This classic low carb carrot cake with cream cheese icing is a fabulous treat with your morning coffee or as a dessert. This recipe is from my friend Julia McPhee who has just completed her Masters on ‘the acceptability and adherence of a low carb high fat diet’. Check out her website for more low carb recipes. She has an amazing depth of knowledge, articles, and recipes there. A tasty low carb carrot cake with cream cheese icing. It has a wonderful texture and taste of a traditional carrot cake to fool your friends. Great to take as a dessert for after dinner or a morning tea. Beat eggs, melted butter, sweetener, and vanilla together. Add grated carrot, walnuts, and coconut then mix almond meal/flour, spices and baking powder. Pour into a greased and lined tin. Bake at 180C/350F for 40-50 minutes or until a fork pushed in, comes out clean. Stir in 1-2 tbs sweetener of choice. Can this be frozen with the frosting? Yes, you may freeze the cake in an airtight container. I would also wrap the cake in baking parchment to prevent it from drying out. My hub who is new to low carb and sugar free loved this for his birthday. Would have given 5 stars but some parts of mixing were confusing. Truvia worked great. I did not use your icing. I will next time. MIXED SPICE: what is this? Didn’t notice till I was mixing it up. Is it even available in the US or do I have to make it? BUTTER can you give the amount in Tablespoons? I wonder if that is why the one reader said hers was oozing butter. It is a bit confusing to read melted next to the amount listed. It made me wonder if the measurement was for melted or measure the butter then melt it. I chose measure then melt it. It came out beautifully and tasted fabulous! Great questions. MIXED SPICE – there is an Amazon link to show you which spice this is, alternatively, you could use pumpkin spice or something similar. BUTTER – if you press the big red button below each recipe you can swap between metric and old school ounces. I prefer to cook by weight as there is no confusion. Measuring in weights is so much easier and more precise than volume! 10 grams (weight) is always 10 grams, but 1 tbspn(volume) is different in UK, AUS & US. Thank you for giving weights! Wow so many comments! I love carrot cake but have not made one sugar free. I see you recommend Swerve. Can you tell me if it would work with Truvia? I like a variety of sweeteners, mainly erythritol and/or stevia. I generally let each reader decide to use their favourite brand as so many people have very strong likes/dislikes. This is my Ultimate Guide To Sweeteners. Thanks for your quick reply. I am making this for my husbands birthday and I want it to come out perfect. I have found another low carb blog with wonderful recipes but if I use the exact amount of Truvia as she does Swerve they come out too sweet. So I was just wondering if other readers have used Truvia in this or other sweetners besides Swerve??? This carrot cake worked perfectly first time. Lovely texture and much more moist than I expected. I added some extra flavouring as per some of the other reviews and this worked well for us as we like the strong spiced taste. It took 50 minutes to bake at 160 fan oven. I tested my glucose levels before and 90 mins after and there was no spike at all – perfect for those who watch such things. I will certainly make this again. I used a cream cheese frosting from another recipe and found this worked perfectly: cream cheese, butter, vanilla essence, lime juice & some zest grated, and 1 tblspn of sweetener. It is a great cake. Thank you for the recipe. I made these tonight for a dinner party tomorrow, We are going to have a dessert taste testing party after dinner, lol. These along with the mini lemon cupcakes and imitation bounty bars. I made these as cupcakes to go along w the theme. Watched the time since I didn’t find any comments (of those I read) that made them and gave a time. So I started at 10 minutes and checked them every few until I decided at 16 minutes they were done. Taste tested one to be sure it was company worthy (although they are pretty easy going and will try anything). It was quite tasty even without the frosting. Still deciding on which one to use. But when I was putting them away the bottoms were a bit wet so next time I will bake them a few minutes longer. Maybe 20 minutes will be better. 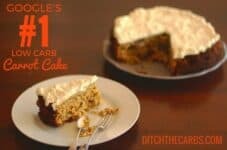 Carrot cake is one of my favorites so I am glad I saw this recipe. Keep them coming!! So I made this cake, followed the recipe to the T but decided to increase the spices because I like my food well seasoned and yeah, was not impressed… Despite me adding more spices than mentioned, the cake had no taste or flavouring. It literally taste like nothing. Was not impressed at all – if you are used to traditional carrot cake, this will not satisfy you at all. I just ended up throwing the entire thing in the garbage. Can I leave out the sugar although? Can I also substitute the cream cheese for something non dairy? What sugar? There is no sugar in this recipe, being low carb. 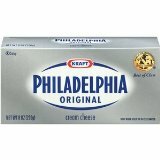 I’m sure you can search for a dairy free substitute for cream cheese out there that is dairy free. Is it possible if using carrot puree than grated carrot? Thank you.. The carrot puree will possibly have too much liquid, so if you were to use this, you may have to add some extra almond flour/meal to the mixture. OMG! THIS WAS SO DELICIOUS! Some minor adjustments. Added a tbsp of sweetner to both the cake and the frosting, and a couple of tbsps of butter to the frosting as suggested by another poster. Well, done , Libby. Number 1 for a reason! Seriously?!?! What did I do wrong, then? I followed the recipe to the last gram, but the result turned out to be the worst carrot cake I’ve tried. What sweetener did you use? I used powder stevia, which gave a horrible metal taste to the cake..
Made it today as a surprise for my mum’s bday, cos she’s insulin resistant, and I was so disappointed. It was so greasy – there was butter everywhere. And very heavy because of all the fat from the butter and almonds. What can I substitute the stevia with? I’m certain the taste is so awkward because of it! Stevia is the problem – if you overuse it your end result will be a bitter and metallic taste. If you would like, it may be helpful to read my Ultimate Guide To Low-Carb Sweeteners. What I use and what I avoid. As for it being too buttery, it sounds like maybe you needed to add more almond flour/meal. If you use cups to measure ingredients, some people under pack or overpack their measuring cups and hence they may have too much or too little almond flour to make the cake the proper consistency. I recommend weighing but I totally understand so many prefer cups, but this may just be one explanation. When I try to print this recipe on the US Measurement, it switches back over the metric. There’s a bug here. Just thought I’d let you know. I like your recipe. thank you! But can i use coconut oil instead of butter?, what should be the correct measurement for coconut oil ? Yes, you may substitute coconut oil for butter, the only problem is that butter gives this cake so much of its amazing creamy flavour. You may have to add extra vanilla or spices. Made this yesterday. I cut the recipe in half as I wanted to make cupcakes but only in a quantity myself and hubby could eat within the week. Half recipe netted 8 normal sized cupcakes and I baked them at US 350 degrees for 20 minutes. I did not find them to be any more crumbly than most almond flour cupcakes. For my “personal” taste, next time I would add SLIGHTLY more nuts (I measured then chopped rather than the other way around), a bit more spices and for MY taste a bit more sweetener. Not too much, but these were rather on the breakfast bread level than dessert level. All in all though, this is an absolute keeper and I don’t miss the traditional raisins or pineapple at all!!!!! Also, per my recipe calculator I got slightly higher carbs, about 4.3 per, including frosting. But again, that’s using my personal ingredients. Thank you Kristeena, this is brilliant! I love your idea of mixing up the quantities and spices to your liking. And I love the fact you baked them as cupcakes. I have often done this for my children’s lunch boxes as they are easier to transport. Isn’t it fun to experiment? I agree about the sweetness! What I find interesting is that the batter tasted much sweeter to me than the cooked product. Next time, I am going to add a bit more Swerve before cooking. This time around, I have not yet made the cream cheese frosting, and am considering adding a little more sweetener there, instead. Basically, though, the cake is delicious. I look forward to serving it to company tomorrow, and to a lot of experimenting in the future. Hi, so, you made a half it the recipe and got 8 muffins? Could you write the whole nutritional,not just carbs? Nadiya Hussain recently did a recipe for carrot cake pakora where she deep fried carrot cake batter and served it with the cream cheese frosting as a dip. Do you reckon this recipe would work deep fried in that way? I imagine this low-carb carrot cake might fall apart if you fried it. I would guess her stays together because of the flour forming a “dough” and the sugar caramelising. Made this today for the first time. I am recently diagnosed T2 diabetic and I love my cakes and sweet things so am always searching for decent low carb recipes. This is AMAZING!! So moist and sweet without feeling heavy and dense, and even my hubby – a die hard “real” carrot cake fan – said he couldn’t tell the difference between this recipe and a traditional flour based cake. Awesome Debbie! And welcome to Ditch The Carbs. As a newly diagnosed T2, you have come to the right place. You may want to join my free Low-Carb Support Group too. It’s an awesome place to ask all the questions you may have. See you there. I made this the other day also but it was way too dry. What can I add to make it more moist? Also, the cream cheese with added sweetener (splenda) was awful. I tried the lemon zest and that made it worse. Started over and tried vanilla extract and it was still bad. Made this today as carrot muffins. Normal size muffin pans. Took about 15 mins to cook. Used coconut oil because I have a colleague who, in addition to being coeliac like me, eats dairy free as well. Muffins turned out very nice. I spread all except two with straight, unflavoured, unsweetened, slightly softened cream cheese. I know others thought this was too tangy or something but I reckon it rounds it off nicely. I do spread plain cream cheese on celery & cucumber as a snack so maybe I am just used to it. Although my husband liked it too so not too bad then! The nutrition panel shows total carbs = 5.8g and if you deduct the 2g fibre = 3.8g net carbs per slice. I’m also having trouble calculating the carbs. The Red Mill almond meal/flour I have is 2T = 4nc. As I figure it that would be 48 NC for 1 1/2 C. Along with everything else & using Splenda, I get 85.4 NC, 9.5 NC per serving for 9 servings (easy to cut from a 8″ pan). I want to try this recipe again substituting half the butter for unsweetened applesauce (adds 12 NC) and only half the carrots (drops 12 NC). Also, I think by treating the mix like a muffin mix, minimal mixing/handling, it may not be as dense. It is a wonderful recipe, I guess everyone has to tweak recipes to their own liking. Hi, I love your recipe. thank you! But can i use coconut flour instead of almond flour, or reduce the amount of almond flour and add some coconut flour? what should be the correct measurement? Oh my goodness, I made this yesterday and it is just lovely! As a long time low-carber, I found the sweetness level to be just right. It’s already half gone so it’s been a hit in my house! Yay – I am so glad you love this. This cake is a favourite in my house also (especially loved by my 11 year old). I am just now making the carrot cake and the instructions say to mix ground almonds. they are not in the ingredients. please help! what quantity? Thanks for pointing out the discrepancy. Ground almonds are the same as almond meal/flour. I have amended it to read the same. I’m only on my 4th day of keto so that may be why–but this isn’t very sweet. It’s delicious, but expect it to be more like a lightly sweetened breakfast bread than a flat out cake. I did pour some torani vanilla syrup over the cake once it was done which helped sweeten it up a bit. Still delicious though. I think it may depend on the sweetener you use. I used Monkfruit/Erythritol sweetener and the cake itself tasted good just not very sweet. I mixed torani syrup with cream cheese and that was very meh, I think the sourness of cream cheese normally offsets the sweetness of cake but in this recipe it overwhelms the only slightly sweet cake. Next time I’ll try a different approach for the frosting. But I’ll probably eat the cake by itself tomorrow morning. Anyways thanks for the recipe! 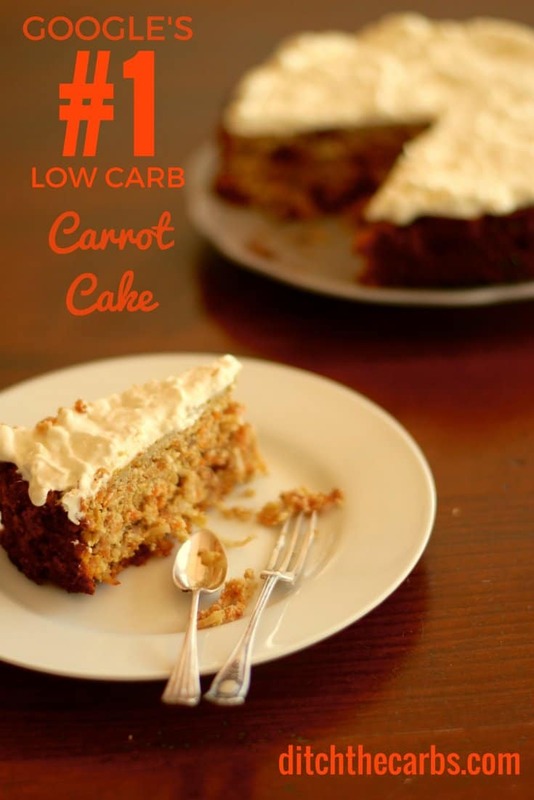 Thank you for sharing your recipe for low-carb carrot cake. Wide range of reviews, but understand the time and expense one goes through perfecting recipes in the area of low-carb baking. Daunting for those of us who don’t bake often, but enjoy baked goods for their families. Made this twice this weekend, first time I had enough extra batter after filling 8″ cake pan for 3 muffins. So maybe a 9″ tin would have been better for using all batter. Baked muffins for 25 minutes, came out OK but crumbly, as many other comments have repeated. Used blanched almond flour and coconut flour, and all ingredients as listed with Swerve for sweetener. Family reviews gave it thumbs up for taste, I gave it a questionable review for it’s crumbly texture even though I wouldn’t consider it dry, but definitely drier than traditional carrot cake. I have tried a recipe for low carb pumpkin bread with same quantity of almond flour and coconut flour and it always comes out more like a heavy pound cake, with custard-like texture so I felt the bake time for THIS cake should be on the higher end…50 min for the first attempt. I thought maybe it was dry because I over baked. Second attempt, I watched more closely beginning @ 35 minutes, and took out when toothpick test came out clean. Same results, a bit on the crumbly side. Maybe less baking powder? Or less almond flour/coconut flour? Best reviews on taste came from family members who have been on low-carb diet for awhile. Those who have a serious sweet tooth, my husband for one, thought I forgot the sugar. Can’t please everyone, but this WAS a Birthday cake for someone on the Adkins diet and she gave it thumbs up. Going to try adjusting flours and baking powder and see if I can achieve a carrot cake closer to the traditional version’s crumb/texture. Frosting hit mixed reviews. I liked it. Added a couple drops of lemon oil first time and lemon flavored stevia sweetener second time, and both tasted great. The slight tanginess of frosting contrasts more and brings out “sweetness” of cake. Awesome review Colleen! Thank you. I completely agree with you. Low-carb baking gets the best reviews from those who have been low-carb for a little while. I think others are expecting baking to taste like the sugar and flour laden (and sometimes “fake” butters and such like) that are designed to hit the bliss point. Once we get our true taste buds back, we can enjoy all the subtle flavours and less sweet taste of low-carb baking made with simple ingredients. I love your adaptations, brilliant! One factor that might explain the highly variable outcome is how much oil has been removed from the almond flour, whether it’s from blanched or raw almonds, and how finely ground it is. My wife vetoed the frosting as weird, so we made it with powdered Xylitol and butter. For an encore, I would try using half whole-wheat flour and half almond flour, which still makes it be carb/protein balanced (even before factoring in effects of fiber). Maybe also a bit of gluten for extra structural integrity. True carrot cakes are never fluffy in my experience, they are very dense but nit heavy. When you use a sweetener of your choice, remember to always adjust to your taste. All my recipes state the amount of sweetener “or more, to your taste” as we are all on different parts of our sugar free journey. My sweet tooth may bee different to yours. Hi everyone! I’m reading mixed reviews on this carrot cake despite it being the top Google choice. Anyone recently make this without modifying it? I don’t want it to be crumbly/dry or too “floppy.” I’m more of a cook rather than a baker so I’m hesitate to try without feedback. Thanks all! I made them new year’s eve and it tasted better after a day 🙂 It was a little dry and crumbly but maybe it’s because of my desiccated coconut. I will try it with coconut flour next time and try coconut oil instead of butter. I will also try cupcakes. I hope I am not changing too much. I made them using coconut oil instead of oil butter 🙂 they were more moist than before and baked 12 big cup cakes at 35 minutes. I used half the desiccated coconut and changed the other half to coconut flour. I also used Swerve and not Stevia–it is much sweeter 🙂 I will make this at least once a month since it is carrot and we are on Keto. (limiting carrots to ‘sometimes’). I should have tested the recipe before serving it to my circle of friends. Someone made the comment that it was another vegetable in our meal. It was not sweet enough and very dry. I should have had some ice cream to make it into the dessert I wanted. I was embarrassed I served it. Wouldn’t ice-cream defeat the purpose of serving a low carb cake? Don’t be embarrassed about serving the cake, be embarrassed that you have rude friends. I made this today – my first adventure in low carb baking. I was going to try the low carb Christmas cake recipe, but my husband is a carrot cake fan and asked for this instead. I can’t begin to explain how wonderful we both think it is. The texture is fantastic, it is so lovely a moist, and the flavour is spot on. My husband says it is just about the nicest carrot cake he has ever tasted and that he wouldn’t believe it was low carb unless he’d seen me making it – praise indeed. Thank you Libby for your wonderful recipes. What with this and the totally miraculous fat head pizza, you’ve certainly fed us well! I make this once a week. I love it in the morning with my coffee for breakfast and my husband eats it as a dessert. It’s so easy and really makes you feel like you’re not missing a thing by eating low carb. Sometimes I take the time to grate the carrots….. and sometimes I just toss in a bag of pre-shredded carrots from the grocery store. I bake it in a quarter sheet jelly roll pan for about 25 minutes. I also make cream cheese frosting with a stick of butter, 8 oz of cream cheese, vanilla and some Truvia to sweeten it. Thanks for the awesome recipes on your site! PS I just now noticed the red US Conversion button…. has that always been there? I have been using my little scale converted to grams to measure the ingredients! How does one converse ,, I am not al all familiar with grams etc,, how do you know how many cups etc.? I REALLY appreciate the conversion buttons – was raised on cups and pounds and since Canada has switched to metric, I tend to look up amounts to be sure. Thanks for all the work you did to do this – I like to check out your recipes first! This cake was a major disapointment. It was not cake. It tasted like carrot bread. I added in the exact amount of spices called for and it was completely bland. It wouldn’t be hard to make this much more flavorful with a little creativity! I read comments after I had started mixing, therefore I added 3tsp cinnamon, 2tbs rice malt syrup, instead of 200g butter I used coconut oil and to keep moisture in I used about 3/4 cut coconut milk. I was worried it would make it go flop but it was AMAZING!!!! Everyone raves about how moist it was, oh I also added sultanas. But with this addition I must say it was the BEST carrot cake I’ve tasted. It’s low carb, but not keto. Keto is strict low carb and doesn’t include carrots. The recipe is easy peasy to make. Carrots are ok in low moderation so it should be fine on keto as long as you don’t go crazy and watch your macros. I’m afraid not 🙁 Coconut flour and almond flour work completely differently. This is a good article to read “Coconut flour vs Almond flour”. It will stop you making any expensive baking mistakes. Would love to make this, but I need USA measurements…..have no idea how to convert this. Just made 12 decent sized cupcakes. I followed the recipe for the cake exactly and the texture was perfection. The only thing I altered was the icing, it just tasted a little too tangy for me so I added about a tablespoon of tahini and it was delicious. I made this today and unfortunately it wasn’t edible; too crumby and bitter. Also, can I use sunflower flour instead of ground seeds? I would say you could change 1 item in this recipe not both, that would be a new recipe completely and each recipe here has been developed after much trial and error. Skipping the coconut might just about work, as it isn’t a huge proportion of the cake, however it wont look like the picture and be a different texture. I followed this recipe word for word, and it was dreadful! I don’t know what, if anything I did was wrong, but it was horrible! The batter was far too dense and dry whilst mixing. I knew that was a problem right away. I went ahead and baked it, and it rose a bit, but it was so dense and heavy. After I let it cool sufficiently, I made the frosting, ( which by the way is a terrible frosting choice!). Cream cheese and sweetener?! Why not just make a traditional buttercream/ cream cheese frosting with stevia or chosen sweetener? I should have went with my gut instinct. I am a great cake decorator, and have good piping skills, so the cake looked superb and delicious once finished. Even though the crumb of the cake was bad, I’ve made many low carb cakes of different varieties, but this crumb was terrible. Although It looked great, the taste and texture was awful. Overly moist yet dry and crumbly at the same time. The frosting was just what it was, sweetened, flavored cream cheese. Yuck. Too rich, heavy, and uninspired. A bit of heavy whipped cream and even whipped butter would have lightened the affair greatly. The cake texture and mouthfeel could be improved with some tweaks. All in all not a stunner for my sisters Birthday. Everyone picked around the cake and ate the low carb ice cream we served with it instead! Terrible! I think the quantity of butter in this recipe is excessive. Can you cut back to 100g without affecting the consistency? I don’t want a super oily cake as other reviewers have mentioned before. Thank you very much for this recipe , seems like a delicious (Healthy!) cake and would like to try it. As I line in a Non-English country, would like to make sure as for the Almond flour quantity. For this ingredient you give Cup as a measure. There are all kind of Cups. Can you specify what kind of cup and the weight of your 1.5 cup of Almond Flour (in grams). to the battle against Carbs). I have baked the cake and the result was very tasty, also the texture and the shape. I used 2 tins – each 7 X 20.5 cm . Just baked this carrot cake (cupcakes in my case) and had one and I love the taste. Many thanks! I tried this cake today and it came out well…I changed the servings from 10 slices to 6 and printed out the recipe, but the quantity of almond flour remained the same. Luckily I found out the mistake before adding the flour and scaled it down to slightly less than a cup….it turned out well. Thanks for the recipe ! I made this yesterday and it turned out well. I did have to add another 15 minutes to the baking time though. While it is a tasty cake, my personal preference is a sweeter cake, most likely this is due to the lack of pineapple and raisins that would be in the traditional version. Next time I make it I’ll boost the sweeter a bit to better align with my taste. I love that it is a single layer, perfect when you don’t have anyone else helping you eat it :-). I am curious on the nutritional information source. I made as written and got many more calories and carbs with the stated serving size using My Fitness Pal. I increased the serving size to 12 because that is more in line with the size I cut and it was still hefty with 482 calories and 6 net carbs. This is why I always state “sweetener of choice, to your taste” as we all have different sweet tolerances depending on how long we have been low carb. Feel free to add more, but as time goes on, you will be able to cut back on it. If you ever make a recipe and it is not sweet enough (remember to always taste test before baking) then you can always serve with sweetened whipped cream or sweet frosting. As for the nutrition, I use cronometer.com which is far more accurate than MFP. I stopped using that years ago as the values are so wrong and there are far too many “user added” values which may be total or net carbs, there is no distinction. Loved this, I made a half sized one because it’s only me that eats it. Served with low carb ice cream, nearly as good as the real thing! I tested out this recipe because I plan on bringing it for Easter. It seems that I had a different experience than others (I read all the reviews). My batter was very thick. I did everything the way the recipe said except I used pumpkin pie spice since I didn’t have mixed spice and I also make them cupcakes. I had to bake at least 30 mins and the cake was too moist. I can’t imagine adding another egg and almond flour. I won’t be able to mix the batter. Even though it was moist, it still kind of stuck to the cupcake liners. Any suggestions? I don’t have time to do another test run so whatever I try, it what I bring. Thank you! I’m very excited to make this cake for my partners birthday this week! What do you consider “one serving” with your nutritional facts? How many pieces have you divided your cake into? The recipe states it makes 10 large slices. If you cut the cake into smaller or larger slices, then you will have to adjust the nutrition values accordingly. Thank you! I must have missed where it said 10. On what temperature & for how long should I bake the carrot cake when’s I make muffins (12)? Thanks so much in advance & for your yummy EASY recipes! I would bake at the same temperature but for only 15-20 minutes, but this could vary widely depending if you are using a cupcake tray or muffin tray. Go for almond meal (ground almonds). I use this in most of my recipes and is generally interchangeable with almond flour but it sounds like that brand you are currently using is too powdery for some reason. I didn’t like the cake at all. I actually had to throw the whole thing away. Didn’t like the icing either, way too sour and too strong of a cream cheese flavor, I even added vanilla. It would make a good spread for a bagel but not icing on a cake. Also, the cake had way too much carrot. I think the almond flour was bitter but it was too hard to tell if that was the biter taste because I couldn’t taste enough by itself with all the carrots. The carrots were too hard and crunchy, just not what I was expecting. Maybe I expected too much. Did you buy store-bought shredded carrots? They might be thicker than carrots you grate yourself. Have you ever added unsalted butter to the cream cheese icing? Just wondering what it would taste like. I make a cream cheese icing that uses vanilla, cream cheese, unsalted butter, and sugar. I’m just wondering what would happen if I just traded out sugar for Splenda (less Splenda probably, that icing is pretty sweet). I only have salted butter in the fridge but I am sure unsalted would work. The subtle salt taste does make it flavoursome and yes you could substitute the sugar for a sweetener, just keep adding a little at a time so it doesn’t become over sweetened. Hi, this cake is my first attempt at low carb baking. I msde them into muffins, for portion control, and they taste great. I was missing cake, and these make a great treat. My question is, when working out the net carbs, for 2 of my ingredients (walnuts and coconut ) the fibre is more than the carbs. Does that negate the carbs from those ingredients? If you ever see a nutrition panel where the fibre is more than the carbs (which is impossible) the carbs must be showing NET CARBS. Here is a guide to carb counting as different countries show net or total. Here in NZ products may show either depending on their country of origin and it is never made very clear. “Typically the US nutrition labels show TOTAL CARBS. Typically UK nutrition labels show NET CARBS. NZ/AUST show net carbs (and stating fibre is optional)”. Hi, when u say almond meal/flour I take that to mean ‘meal or flour’ , so following this assumption could I use flaxmeal as a substitute for the almond meal? I have every ingredient in the house but no almond meal or flour of any kind except for flaxseed meal. Can’t get out the house to get the missing part and really want to make this asap, help? I just bought coconut flour, thinking, I can do some baking from DitchTheCarbs recipes….and then now, going through the recipes, they all require almond meal/flour (and I almost bought almond flour) sigh. Please please please tell me I can substitute almond flour for coconut flour? And by how much? You’re in luck. I am moving away from almond flour due to nut allergies, cost and higher omega 6 levels. Most of my newer recipes are coconut flour based or at least, have it as an alternative. Try my flourless berry cake, keto waffles, blueberry cheesecake for starters. Here is my Ultimate Guide To Low-Carb Flours too. Worth a read. Would it work with 1/2 almond flour and 1/2 coconut flour? Sorry, it is too much of a complete change in recipe to advise. Can you use baking soda instead of baking power to avoid the aluminium? If so, would it be a different quantity. Baking powder and baking soda are not interchangeable. You should be able to find aluminum free baking powder in an ordinary grocery store and certainly in a health foods store. The brand I use is Rumford. It’s also sold on Amazon if you can’t find it. This is really a fantastic low carb carrot cake. I added some unsweetened lemon extract to the frosting which gave it a delicious tang… mmmmm. My new favourite low carb (non-chocolate) cake.. thank you! Just wanted to say given the fact Im a terrible baker, my first attempt at this wonderful cake was a winner. I have made a lot of things from your recipes, this cake is delicious, moist and with just the right amount of sweetness. I substituted walnuts for pecans and added a little lemon juice onto the sweet cheese cream icing, its a lovely combo. This is great news Lou, I especially wanted to create easy recipes that encourage people to cook at home more. Good luck with all the other recipes you will be trying. It really depends on the strength of each one, brands can vary quite considerably. Granulated stevia measure spoon for spoon in place of sugar, so simply add your sweetener a little at a time until you get the sweetness you like. Sorry if that is a little vague, it is the hardest aspect of low carb cooking to be precise about as our sweet taste is so different depending on how long you have been sugar free for. Good luck and you’ll get the hang of it. Just made this and tried my first piece. Great recipe. Tasted great and was a beautiful light consistency. A nice afternoon tea and one piece was just so filling. I have been visiting your site for a while now Libby and this is my first comment though I have loved lots of the recipes. This is a great site and you are doing a wonderful job, helping us all stay trim and healthy. I was so pleased to find your site as I had looked at a few others and not been impressed by really wierd recipes. So glad to have this as I am from Australia and your recipes make more sense than ones from the US with ingredients that are still highly processed or are unobtainable. Again I say, well done and thanks so much for all the effort you put into this site. It’s so helpful and I really appreciate it. This is such a lovely comment to read today, thank you so much. I absolutely love creating everything here and I am so happy you are enjoying them so much. Happy new year. I have made this cake twice. The first time I followed the recipe to the letter and the cake was absolutely tasteless except for the bitter taste from the sweeter I used. So back to the drawing board. I made it again and added 1/2 cup almond flour 1 cup flour a different brand of sweetener which solved the bitter taste. Still not a home run…Any suggestions? Gosh I’m not too sure what is going on, the carrots give a lovely sweet flavour all by themselves, as do the coconut and the spices. Maybe add double the spices and vanilla? Came out so perfectly! Thank you for another great recipe I totally love your cakes! Making it this weekend and very excited. How long would I cook for if making as cupcakes? Also have you heard of Kite Hill cream cheese made out of almond milk? Think it would work in this recipe? 8 have some in my fridge I want to use before it goes bad. If making cupcakes (which I have many times) I usually bake them for 15 minutes, but test them as ovens vary considerably. No I have never heard of cream cheese made from almond milk, let me know how it turned out. I’d like to try some if I can find it here. Well, no, that’s not exactly true. Unless you are doing large amounts of physical exercise, a high protein diet for an extended period of time is very dangerous to kidneys and liver. While I agree that research is necessary, it took me three days to get into ketosis (as demonstrated by urine and blood tests) on a very low carb diet, but I have stayed in ketosis since then with low carb but not no carb. If you are genuinely wanting to be helpful telling people things, first have your facts straight and then don’t be so condescending about it. they came out like a dream. Next time, I am going to cut silicon baking mats to fit inside my cake rounds, so I can have a perfect edge. Brilliant recipe – thank you a million times over! Hi, some silicone baking mats specifically state they should not be cut, probably because they contain fiberglass which could be released into your food if the food contacts a cut edge. Some silicone baking mats are made to be cut, but if you can’t find one of those, you could simply cut parchment paper to the correct size. This looks great. One question…..what is mixed spice? Take a ook at my pumpkin pie recipe, I explain mixed vs allspice there. Hi, I’ve had a type 1 diabetes for 24 years but just started trying out a low carb diet. Just wondering if it’s common for people to take some time to adjust to a high fat diet. I made your carrot cake and it worked out OK but there was a lot of butter around the edges in the tin, which absorbed into the cake when it cooled, as you said it would. But when I eat a slice of the cake, I feel a bit sick as I’m not used to eating so much butter, and I think the taste of the butter dominates everything else, especially if I don’t heat up the cake before eating it. Have you tried reducing the amount of butter, or using other oils? I think I could halve the amount of butter, but would it fall apart? Also, when I put all the ingredients into my diabetes app, it came up as 456 calories per slice (based on 10 slices per cake, and including the walnuts) and 44g fat, but your calculations say 321 calories and 31.6g of fat. I know you have to allow for variation and you can’t worry about calories too much on a LCHF diet but that’s a huge snack! I don’t think I’d make it again because my husband’s not a fan and I can’t eat a whole cake by myself. But hopefully I’ll have more luck with some of your other recipes. It takes a while to understand the full feeling from eating more healthy fats. It’s not to say you should eat excessive fat but a smaller portion will allow you to feel full without the sick feeling you experienced. I think the slice for you was possibly too large (and hence too much fat that you felt uncomfortable). One of the many reasons for eating more healthy fat is so we eat less, our hunger is controlled and our appetite is in check. Many newcomers don’t like feeling so full, but it’s kind of the point. So we stop snacking, eat smaller portions and are no longer on the sugar/carb/hunger roller coaster. Eat only until full, stop when you have had enough. You’ll get the hang of it soon, and I always say to figure out what works for YOU. Good luck Robyn. Would love to know how the cream cheese frosting turns out with no butter or cream added as I don’t see a lot of recipes without them. I would definitely prefer to only use cream cheese and a sweetener but wonder if I am going to end up with a thick unspreadable and heavy texture on top? Do you blend it with a mixer first? And one last thing… how does it hold up overnight in a fridge (if also iced the night before) before serving… worried the frosting may become wet… not sure if that makes sense?? Thanks so much for helping me with these questions. Great questions Tamara. Firstly you need to find the right cream cheese. Not the low fat or spreadable one but the full fat regular block. It is similar in texture to a semi-soft butter. Leave it out of the fridge to come to room temp, then mix in the sweetener (and I like some vanilla) with a fork to break it up or you can use a hand held beater. It should become soft enough to spread. Once the cake is iced, then cover it in the fridge (I have a plastic microwave lid that does the job or a large upside down mixing bowl). It has never made the cake damp because once the cream cheese is back in the fridge, it hardens a little. Alternatively I have been developing a new icing which is 50:50 butter and cream cheese with sweetener and vanilla. That is luscious too. Outstanding recipe! I used 2T Splenda Brown Sugar blend and got 13 cupcakes (used silicon baking cups, baked for 25 mins). These are light, fluffy, and delicious. I added some heavy whipping cream to the cream cheese and sweetened with Valencia Orange Sweetleaf stevia drops to taste. One little cake sure fills the tummy and is outrageously delish. Thanks for creating this recipe! Very much appreciated 😀 All four generations of my family approved and that’s a huge deal! Looks great but I’ll have to try it using a trace of natural, local honey as we don’t believe in artificial sweeteners of any kind. Trace amounts of honey add a couple carbs but its better for you than stevia and the like. With honey, a very little goes a very long way, especially after being lchf for over a year, and its still healthier than refined sugar or artificial sweeteners. Actual stevia isn’t bad for you nor anymore artificial than honey. Honeybees are rapidly dying off. Could you tell me how much of the ground sunflower seeds you used and did you buy just unroasted, shelled, unsalted and ground them youself. Love the nuts in carrot cake but not a big fan of walnuts so thought this would work to give a little more of nuttier texture along with almond meal…almond flour is too expensive !! From memory, I only had half the almond meal in my pantry so got some regular sunflower seeds, put them in my stick blender (I have a little blade attachment, similar to a coffee grinder) to grind them up then just threw them in. Voila! The walnuts are optional anyway so you could even replace those with whole pumpkin seeds? That might be nice. I’m using Truvia baking blend. Would I still use the same amount? If it measures spoon for spoon then yes. All my sweeteners I use measure the same as sugar. Take a look at my ultimate guide to sweeteners to see what I use and what I avoid. This cake was sooooo yummy! I did not taste low carb at all. My husband and I both loved it!! If I were to omit the shredded coconut, would I need to add anything to compensate? Yes but you could easily swap it for more almond flour/meal. I have been making your recipe for a few months now and my family loves it. I make cupcakes so I can monitor the carbs. My mom and aunt are both diabetic and the cupcakes don’t impact their blood sugar. I add mascarpone to the cream cheese icing and some orange extract. The hint of orange with the carrots is really good. Excellent, how wonderful to hear your diabetic aunts can enjoy these treats and it not impact on their blood sugars. See if you can encourage them to make the switch to LCHF. Here’s a great article regarding low carb and diabetes. I love the idea of marscopone in the icing. Heaven. Thanks for this AMAZING carrot cake recipe, Libby! I’m relatively new to your site and really enjoying your recipes. My family & I are living “One Year Without Sugar & Processed Foods”, but aren’t skipping on delicious fare! I only use granulated because it is incredibly forgiving and easy to regulate the sweetness. I have tried to use stevia drops and I find it is too easy to over or under sweeten a recipe but if you prefer drops then yes it would work. Thank you so much .. Your brilliant recipes have made my switch to LCHF possible. My hubby and mother are currently raving about this carrot cake – it is foolproof and so delicious. I made cupcakes as I thought we would be able to freeze them – next time I’ll have to make double as I don’t expect these to last long enough to get to the freezer. Wonderful recipe. I did it many times and it’s perfect. I didn’t have mixed spices so I just put a bit more of cinnamon and nutmeg and it works. The cream cheese frosting is nice when I leave the cake a whole night in the frigde. Thanks for this recipe. I made this tonight and it is delicious. We’ve only been LCHF for 2 months and your recipes have been amazing. So hard to change the way I think about eating fat but feeling so much healthier. Keep up the good work, your posts are very informative. It’s sometimes hard to find the ingredients here in Ireland but online shopping has saved me!! I made this cake tonight for the first time for Sunday dessert. The taste was great, it was definitely denser than even a gluten-free cake, and that was all fine. The part I didn’t like? The carrots were still crunchy! I shredded them in my food processor but maybe I should have used the blade versus the shredding attachment. I made this yesterday. I’ve only been on LCHF for 4 days and I was craving something sweet so made this. Very moist n yummy. The icing was a little too thick for me so added a little cream to make it a little smoother. Worked a treat. Will definitely be making this again! Thanks for posting these recipes…a real life saver especially when you’re tempted to go back to the old way of eating. Yes they are all interchangeable in my recipes, just maybe adjust the liquid you may need to add. I made this recipe with my own flour blend (1/2 almond, 1/4 coconut, 1/4 whey protein powder) and added some Greek yogurt in place of an egg (I was short eggs). Turned out a pretty soft crumb, goes perfect with the icing! Only change I recommend is adding a little salt to the batter to really bring out the sweet carrot flavour. This recipe is fantastic for those of us on a low carb diet and the high fat content makes it super filling. Can’t wait to try out some other recipes on this site. Do you know what the cab content per serving is? It’s so interesting that we have such varied results. Perhaps including brands and specific types in the recipe would be helpful? I can’t figure out what else would cause such big differences! I suspect that my not using fresh carrots affected it somewhat, but I think the rest might be a brand issue, perhaps of the sweetener? Also I didn’t have vanilla essence, just extract. Oops! Didn’t mean to reply to another comment- was supposed to be on its own. Sorry! All the brands I use are detailed on this page. Yes not using fresh carrots may have altered the cake somewhat, but any sweetener will be fine in this recipe and any vanilla also. With all low carb baking I emphasise add sweetener to taste as this is the most variable element of any low carb baking. I also try to encourage people to taste their baking before it goes in the oven. You can always salvage a baking disaster with sweetened whipped cream and berries. I never throw anything away. In all my recipes I state “granulated stevia, sweetener of choice, to taste” as everyone’s sweet taste is completely different. I personally don’t add as much sweetener that many recipes would usually call for as I have been sugar free for so long, a little sweetener is all I need. Most granulated stevia is the same, it is usually blended with erythritol so it measures spoon for spoon instead of sugar, liquid stevia is completely different. Personally I never use it as it is too easy to over or under dose. And with all baking, add sweetener “to taste” before baking the final recipe. You can always add more if it is not sweet enough, but you cannot remove it and excess stevia may give you a bitter after taste. These are the stevia products I recommend on this page. Thanks, I will try it again, as I said I hadn’t used stevia before so it is all new to me. I have used quite a few of your recipes (the chicken curry is super yummy) and everyone in the family enjoys them, so I am determined to get this one right. Great stuff Hilary. Low carb baking take a wee while to get used to, as you have to adjust certain ingredients to your liking and tastes. One big tip, baking can always be saved if the final result is not sweet enough, serve with sweetened whipped cream – I hate waste, especially expensive low carb ingredients. Hilary, perhaps you used powdered stevia (very fine, looks like powdered sugar) rather than the coarse stevia granules (looks like crystallized table sugar)? THat would have made it unbearably sweet. My thought was the same as Joanne, I bet you used pure stevia extract powder instead of granulated. I made this mistake once and it was so unbelievably horrendous. I hope you try again with the granulated kind! you don’t need to use any type of artificial sugar- try molasses- you need very little to make it sweet- you don’t even need that stuff- carrots are sweet enough- that’s why it’s carrot cake…. My husband and I made this together as part of our new carb free lifestyle. Very simply, THIS WAS AMAZING! Easy to make and very tasty. We even had a little extra “private” fun with the frosting which made it even more satisfying! Thanks for a great recipe and carb free fun! No I just crack the eggs straight into the bowl with the other ingredients. And yes sometimes the butter does have a tendency to make the cake oily (especially in the hot weather) but the butter is soaked back up in the cake when it cools (as you discovered). If in doubt, you can always add more almond flour/meal if you think your cake is too runny due to the moisture in the carrots you added or the size/volume of eggs used. I’m so glad you enjoyed it. Many have had great success making these as cupcakes too. My fave low carb recipe EVER. Unsure why so many people are having a fail, that is sad, this is an amazing cake, my faves and always my go to when I need a cake for a special occasion……………..or just when I need cake. Just made for my bd….turned out like a carrot meatloaf. Hard as a rock zero sweetness. I’m so sorry to hear this Anna. I can’t understand how it can have zero sweetness when it has carrots (which are naturally higher in sugars) and it contains “stevia or sweetener of choice to taste”. I always advise people to taste and sweeten to your sweet tooth before baking. Sweetness is such a personal aspect because those just starting out on their sugar free journey will have a far sweeter tooth than those who have been sugar free for some time. Let’s see if we can figure out what went wrong. I have had such good feedback on this cake, especially on Instagram where readers have been posting their picture of the cake or cupcakes. Please don’t let this put you off low carb baking. It may be that your carrots had too much moisture. They can vary quite significantly. If your cake mixture appears too moist/runny before cooking, it can be saved by adding another egg and another half cup of almond meal/flour/ground. Hi! This is my first low carb cake, so I’m very excited! Right now it is in the oven, baking. Fingers crossed it will turn out fine. I had to make my own almond flour because we cannot find this in the market here and because of the shape of my tin I could not use paper, so I greased it and then added some whole grain regular floor. I noticed the batter didn’t resemble a regular cake’s batter, though. The tin lining with the flour, didn’t work that well – I will need to buy a new tin if I want to make this cake again – and I will probably add some more stevia next time. (This time I will compensate the sweetness with the frosting). Other than that, it’s great! It smells great! I can’t wait to try it tomorrow, as a Vasilopita, with my family. I want to use erithrytol in stead of stevia. How much should I use? I’ve never used erythritol by itself, my stevia is a blend of the two. Just add according to taste and remember to taste before baking so you can adjust the sweetness to your liking. Hello. If I can’t find mixed spice, what can I use to replace it?? Hi Loic, You can make your own mixed spice or pumpkin spice is similar. I am thinking of making this for my Christmas birthday. The recipe calls for ground almonds (which I love) and walnuts (which I don’t care for) but I do not see flour listed. Is this a mistake? The directions also say to pour into a greased and lined tin but give no size tin to use. Would an 8 X 8 glass baking pan work (or 9 X 13)? So last night I came across your recipe. First step was to ‘ditch’ the ‘sweeteners’ and I replaced it for the ‘healthier’ brown sugar. I didn’t have almonds so I replaced it by Sukrin’s peanut flour and Sukrin’s sesame seed flour. Both flours are high in proteins and low in carbs! I only had 3 eggs left and to make the batter more smooth, I mixed some fresh milk through the ‘dry’ battermix. I totally forgot the cocos and the vanilla! Oops, blond moment! I don’t have a scale so I guessed the total weights of all ingredients and just looked at the consistency and tried the taste of the batter mix before putting it in the loaf tin. I was afraid it would be all too fat so I only took 100gr butter, it came out of the oven after 50 minutes with a nice brown crusty layer. I never seem to make my cakes rise up very high. Is that because of the difference of ‘rising’ behaviour of sesame seed and peanut flour? To make the icing a bit lighter I mixed 100gr light cream cheese with 100gr ‘0’-fat Icelandic yoghurt (or you could use high protein Greek yoghurt!) a teaspoon of honey and two teaspoons of home-made low sugar orange marmalade! I left a note for my partner to ‘have a big piece for breakfast’! He woke me up with a kiss and left the house on his way to his office with a happy smile on his face and thanked me for the delicious cake I made…. I like to experiment and always throw in some other ingredients like flaxseeds, chia seeds etc. Does that affect the ‘rising’ of the cake? 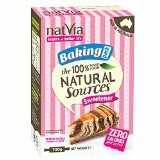 I’m new with baking but really like to make ‘healthier’ cakes and cookies with low carbs but only when the ingredients are available at the supermarket. You seem to be one of the only sites that actually uses off-the-shelf ingredients! Well done. Keep on baking! I’d love you to read this article. Unfortunately the DAFNE course is misleading if it tells you to eat sugar and carbs and adjust your medication accordingly. Yes you have to adjust your dose to your meals, absolutely, but you need to adjust your meals firstly. Low carbs require less medication, less roller coaster blood glucose results and less errors. Low carb for diabetes is a fabulous guest post from a wonderful diabetic educator and there are some fabulous resources in there also you may want to read. May I point out that brown sugar is NOT healthier. Sugar and stevia are both natural and both processed, stevia however will not raise your blood sugar. I know it is hard to change our thinking, but don’t go for the ‘lite’ versions as they are generally higher in carbs and won’t leave you satiated. Have a read of this page to see why healthy fat should be a regular part of our diet. Gosh I hope this isn’t sounding like I don’t agree with your course or what you have done, but there is another way, an easier way and a more manageable way long term. I agree with you that any low carb dish is indeed healthier. So today I bought the product Truvia which is a mix of stevia with erythritol and has 99 grams of carbs in 100 grams. It’s still carbs so we are ditching only 66% of normal sugar. I read the links and they have inspired me and I have shared it with my type1 diabetic friends in our chat group. But even so, I do a lot of sports and personally I think that’s the number 1 ‘medicine’ for all diabetics. I have been on a low carbs lifestyle but find it difficult not to ‘snack’ the bad carbs/fat snacks available next to the cash point. I’ve just tried your cake mix according to your recipe with the Truvia and let’s see if I will receive a wake-up kiss from my partner in the morning after he has tasted the ‘sweetened’ version. I do not agree about the light products. Plain yoghurt without fat doesn’t contain any added sugars, not the ones I buy. Why eating fat if it tastes ok without it?! Hi Rob, I am so glad you read the page entitled Low Carb For Diabetes and it has helped in some way. I understand your hesitation adding fat, we all have that deep seated fear of it. Many find when they do increase their fat it keeps them fuller for longer and allows them not to want to snack on carbs and bad fats from snack bars etc. I went to a diabetic education evening a few weeks ago (I am a pharmacist) and asked the lecturer (T1) if he had tried low carb and he said he had but was too hungry, and when we discussed it further, he realised he was low carb and low fat hence the reason for him being constantly hungry. Keep in touch Rob, I’d love you to join this page on Facebook called TypeoneGrit, who have incredible knowledge and support for diabetics. Made this cake and was so disappointed.stuck to the tin,then it was very crumbly so I could only serve it as a pudding, The taste was great and I do want to bake it again,should one use psyilium to hold it together ? Yes the recipe calls for a greased and lined time. All low carb recipes are gluten free so the structure can sometimes be a little looser than a regular cake. The eggs should have been enough to hold it together but great idea to add psyllium husk to add more structure to the cake. This is the Mixed Spice I use. It is a combination of spices including cinnamon and nutmeg. Yes you can use vanilla paste, extract, essence – whichever you prefer for a lovely vanilla flavour. I baked this carrot cake today and went exactly by the recipe except I put 1 tsp. xanthan gum in it. I put it in a loaf pan and baked it exactly 30 minutes at 350 degrees like the recipe said. When I checked it the whole inside was a gooy mess. So I baked it another 30 minutes at 300 degrees and it still was a mess. I turned off the oven and left it in there for an hour and it still never got firm. What the heck? And yes my oven if working fine because I had just finished baking apple pie and brownies for my husband. Was the outside set, firm and cakelike? Did you bake it on a baking tray? (can sometimes affect baking), how exactly did the mixture look like before you baked it? Eggs too small? Carrots too juicy? I have so many success stories of readers successful carrot cake on Instagram and Facebook, so I know this recipe works. Let’s see if we can figure this out together. Actually I’m back to bake it again. This recipe was delicious. So, the beau loves carrot cake and I’m going to make this one for us. I’m sure he’ll love it. I baked the first one without coconut. But, I’ll throwing in everything this time. I loved this recipe. I’m going to do atleast two layers, heavy on the icing. It’s for my birthday! Thanks hun! Mine didnt stick. I used just the cheap foil pan from the dollar store. Secondly, the normal low carb recipes are usually crumbly. This one wasn’t. It was very moist. Lastly, I’m going to bake this again for Thanksgiving. I may make it a thinner two-layer cake. I don’t change recipes often, but I eventually improv. So far, this is a winner. But, I bake so it just works for me. Hey thank you so much Marquia, I am so glad you liked it and it was a great success. I love your idea of a 2 layer cake, how divine. Ok–I must have missed something, but I double checked an followed the recipe exactly–other than it took longer to cook than was listed. This cake was awful–it tastes like a carrot casserole. The only nice thing I can say about it is that it is very moist. I am guessing it is at the top of Google just because it is one of the few low carb carrot cake recipes. Sorry to hear this as it is one of the most popular recipes here on Ditch The Carbs and I have had so many successful photos of readers carrot cakes posted on Instagram and twitter, so it definitely works. Let’s see if we can figure out what went wrong. There is nothing at all in the recipe which would make this taste like a casserole! That’s certainly never been heard of before. Hi, I also ended up with a sloppy mess. I think there is too much water in the carrot? Would it be better to squeeze the water out of the carrot? I also had to put it back in the oven, over an hour in the end. It would appear some readers carrots have too much water, so yes, maybe squeezing them first would help. Just made this and used almond meal, not sure if that’s the same as ground almonds, anyway cake is a bit…. Eggy….. Used regular eggs…? Also wondered next time u make this Libby can you give qty if carrot in grams as if I wiz carrots in food processor qty may differ than if u use a fine or coarse grater?? Cooking times differ in any recipe depending on your oven (they all vary immensely), bake, fan bake etc and the depth of your cake tin. I am surprised even lined it stuck. I always line mine with baking paper and grease the sides of the tin. Once cooled (not even warm) I run a knife around the edge to release the sides, then place a plate on top and flip the cake onto it. And yes, the reader was referring to the almond flour, I never sift anything and my cakes always turn out fine. I cut out as many steps as I can that I don’t see as absolutely necessary. Hmm, now the greasy problem. Baking with almond flour, or any type of flour, you will need to make minor adjustments +/- extra flour or liquid depending on the humidity or the moisture content of the flour. If it is humid, any flour will absorb some moisture and so absorb less of your butter, eggs etc. If you find your mixture is too wet, add some more flour until it is the right consistency. Hope these tips help. If I made this as cupcakes rather than a whole cake would it freeze (maybe minus the cream cheese frosting). I would like to make a few desserts but a whole cake for one person is a bit much! Yes I’m sure they would , like you say without the frosting. That would be a great idea. All ovens differ in temperatures so always test the cake before finishing baking with a skewer. No I don’t sift the four and no the butter doesn’t have to be hot, just melted so it mixes in easily. It can also be baked as cupcakes too. I made this last week and accidently put only 2.5 tsp natvia – i loved the cake although next time I might add a little more sugar! thanks! Can I use granulated xylitol instead of stevia? And how much would I use? Recipe looks great-I’m so excited! I’m sure you could. I still haven’t got round to trying xylitol so with any low carb recipe, add your sweetener of choice to taste and make sure you taste the mixture BEFORE you bake it and before each addition. You can always add more, but you can’t take it out. would almond flour be the same as ground almonds? what would be the difference? Would you use the same amount of almond flour as crushed almonds? Yes, but just check how wet/dry the mixture is before baking. It may need +/- extra almond flour or +/- liquid. What size of pan do you use? I use a 23cm / 9inch ring tin. You can use whatever you have though. Just test the centre to ensure it is cooked. My culinary-challenged partner made this wonderful cake for Christmas this year and it went down a total treat. Even the sugar-eaters wanted a slice (despite the fact that they had their pavlovas, trifles and plum puddings) – we just beat them away with a stick. Thank you Libby (and Julia) for this easy, foolproof recipe. There are lots of recipes out there but not all work out and taste great.